When Canada’s legal recreational marijuana market launches Wednesday, the nation will also allow its roughly 250 hemp farmers to sell flower for CBD extraction – a change that could have a global impact on CBD prices. “There are a lot of hemp producers who have been saving and drying their flowers for sale,” said Russ Crawford, president of the Canadian Hemp Trade Association (CHTA). Alongside the legal change, Canada is laying groundwork for global cannabis exporting, meaning that a flood of additional hemp extracts could affect prices on a global scale. “Like any other market, the more we produce, the lower the price will drop,” Crawford said. 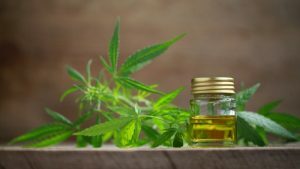 Canadian CBD can’t yet be exported to the United States because the U.S. government considers CBD illegal if it isn’t produced under the terms of the 2014 Farm Bill. Canada grew 138,000 acres of hemp last year, compared with about 26,000 acres in the U.S.
Canada is thought to be the world’s No. 2 hemp producer, behind China (which doesn’t release crop acreage counts). Canadian hemp farmers can access government benefits still unavailable to U.S. hemp growers, such as public marketing and government-backed crop insurance. Canada legalized hemp production in 1998, but farmers weren’t allowed to use the flower – until now. Even with the flower restriction, Canada exported roughly $58 million worth of hemp products to the United States last year, according to the U.S. International Trade Commission. Adult-use marijuana sales in Canada are expected to reach 4.3 billion Canadian dollars ($3.3 billion) in 2019, according to Deloitte. The U.S. hemp-derived CBD industry is hoping that botany and superior products will protect the white-hot CBD market from Canadian competition. The first reason for U.S. optimism has to do with the plant itself. Because Canadians have been limited to growing hemp for stalks and fibers, they haven’t been honing production of the shorter, stumpier hemp varieties favored for flower production. It’s also unclear whether the longer summer daylight hours in the northern summer will do much for enhancing cannabinoid content in hemp’s flowers. Finally, harvest methods are quite different for hemp flowers. According to U.S. farmers surveyed for the 2018 Hemp & CBD Industry Factbook, more than half of them harvest their crops by hand, the best way to preserve delicate flower material. Only 4% said they relied on harvesting equipment, the most common method for harvesting fiber and seed for commercial production. “It’s not going to be an easy transition where they just switch out their seeds and start growing hemp for cannabinoids,” said Jon Cooper, CEO of Ebbu, an Evergreen, Colorado-based cannabis research company. But Canadian companies can use other tactics to take advantage of the U.S. experience, such as acquiring established companies, as Canopy Growth announced it would do with Ebbu. Another thing keeping U.S. producers hopeful is a real or perceived advantage in quality. Though Canada had a long head start on hemp production, some U.S. states have been producing commercial quantities of the extract since 2014. And the CBD boom has prompted countless entrants into the processing and retailing industry, with new extractors and CBD-only stores opening almost daily. U.S. sales of hemp-derived cannabidiol are expected to grow to $2.5 billion-$3.1 billion by 2022, according to the 2018 Hemp & CBD Industry Factbook. “Canadians, even though they’re ahead of us in certain respects, they’re never going to get ahead of us in terms of the quality of CBD flower,” said Preston Gardner, a research analyst who follows cannabis market trends for CVC Partners in San Diego. Only Colorado and Kentucky likely will produce more CBD this year than Canada, he said. CBD extracts in the U.S. can fetch $4,000-$5,000 per kilogram, while hemp flower prices in Canada are “all over the map,” CHTA’s Crawford said. That price advantage could continue if U.S.-grown hemp flower produces more or better CBD.